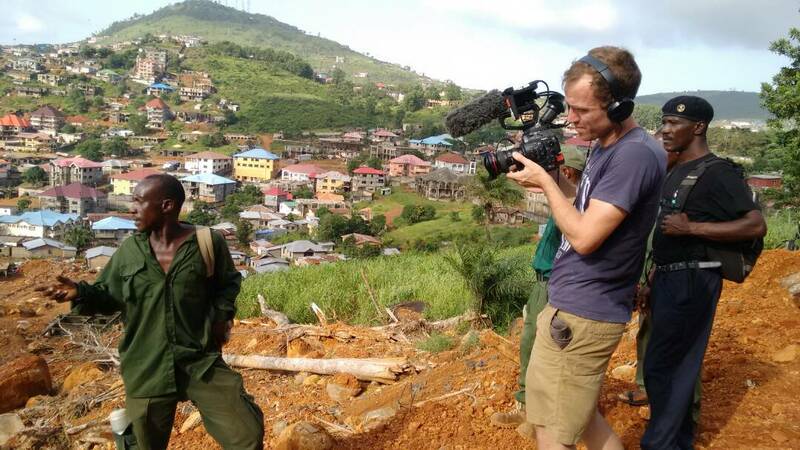 Two weeks before the landslide, Bala and his team stood beneath the Sugarloaf Mountain in Regent and told local school students about the dangers of deforestation, of the risks of landslides, of the importance of the peninsula forest in providing clean water for the people. Two weeks later, dozens of those same children were dead – lost beneath the thousands of tonnes of earth and stone that slipped off the mountainside on the morning of August 14 (2017). 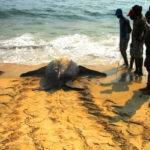 The Turtle Islands are situated 100 km south of Freetown in the Atlantic Ocean, off the west coast of Sierra Leone. There are eight islands that make up this archipelago, seven of which are inhabited. One of the islands is strictly off-limits to visitors and women, and only frequented by male initiates from the local Sherbro population. 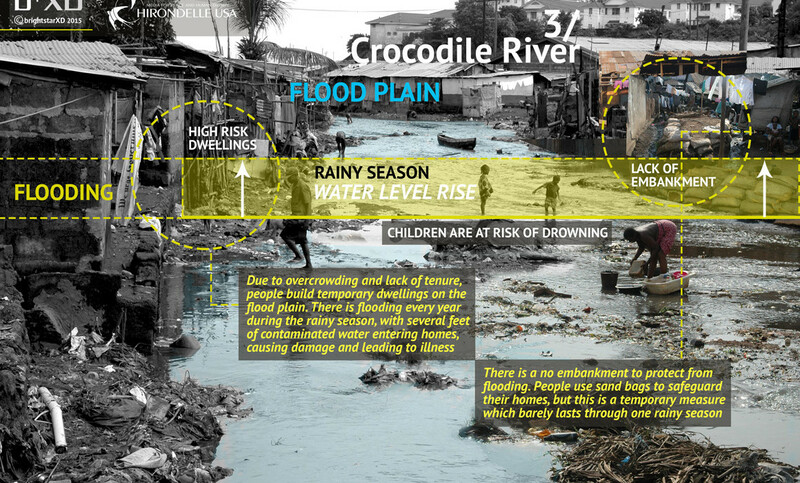 Flooding in Freetown: Why and what next? A moratorium established to stop encroachment into protected areas of the Western Peninsular Forest has not been enforced. 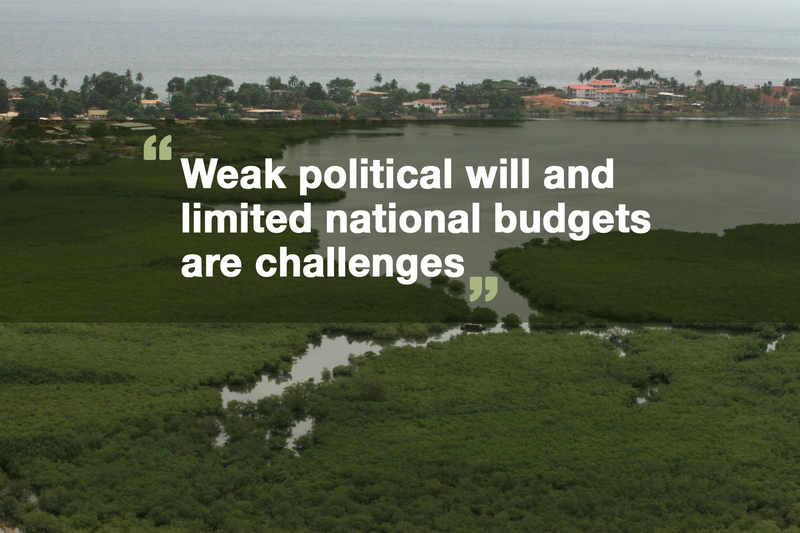 The Environmental Protection Agency’s deputy director Mohammed Bah said in 2015 that “irresponsible actions taken on the hills will affect the city greatly”. But construction in these areas continues with impunity, perhaps linked to the fact that many residents are politically connected. The rate of deforestation is alarming and the associated impacts are being felt across the city and not just during the rainy season. 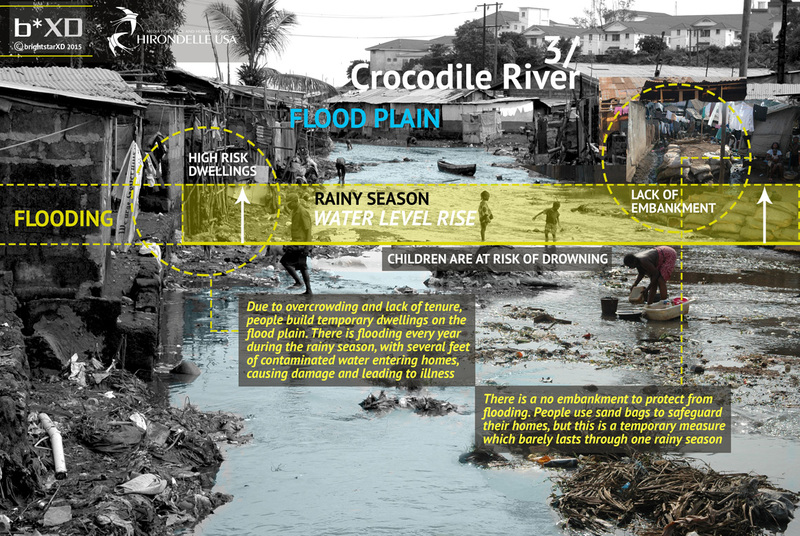 Though local residents, volunteers, faith groups and the community at large are proactive self-organisers and have always been the ‘first and critical emergency response’ — their contribution is often unacknowledged, thereby reinforcing the narrative that it’s only institution-led efforts that have an impact in minimising or reducing the scale of disasters. 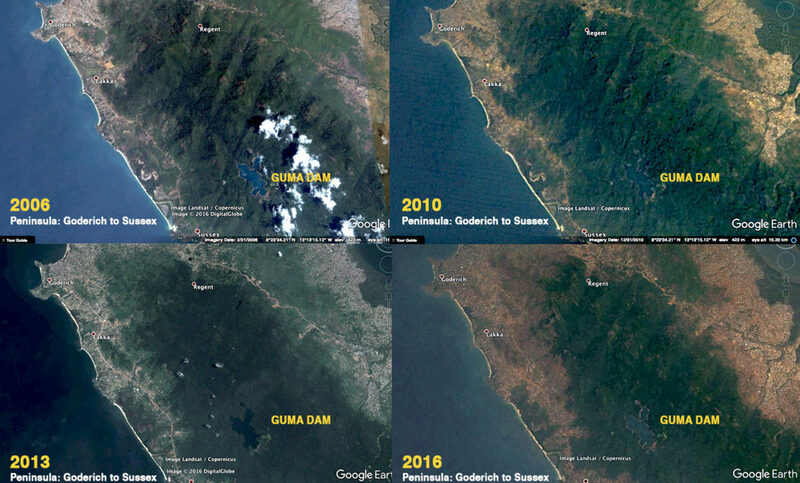 Satellite images from Google Earth show the rapid erosion of the Western Area Forest Reserve. 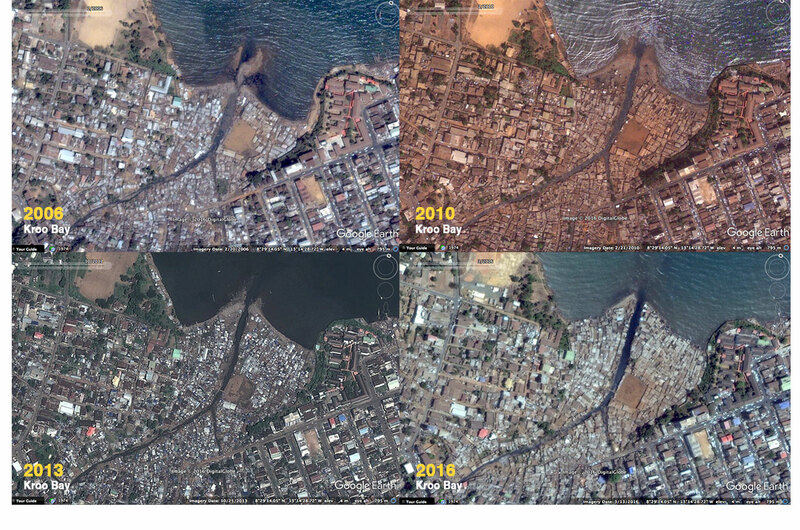 This is alarming for a host of reasons including habitat destruction and loss of biodiversity, increased risk of flooding and landslides, and critically the destruction of water catchment areas which are the main sources of fresh water in Freetown. 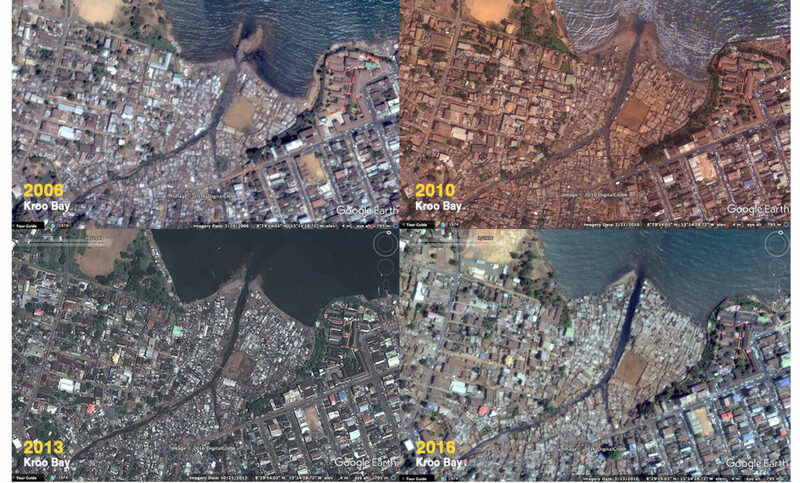 Satellite images from Google Earth show extensive land reclamation in the Kroo Bay settlement in Central Freetown. 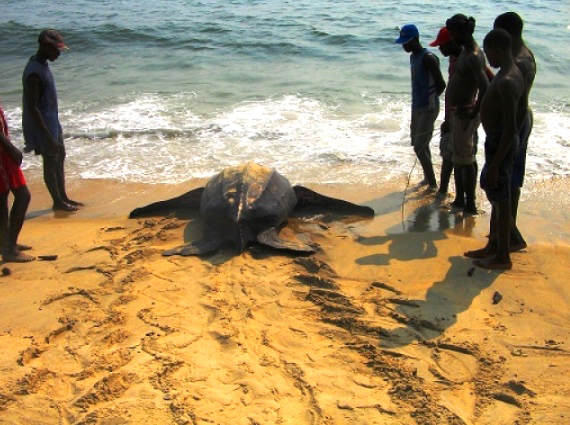 Kroo Bay is not unique in this regard, with large swathes of coastal areas in and around Freetown being reclaimed. 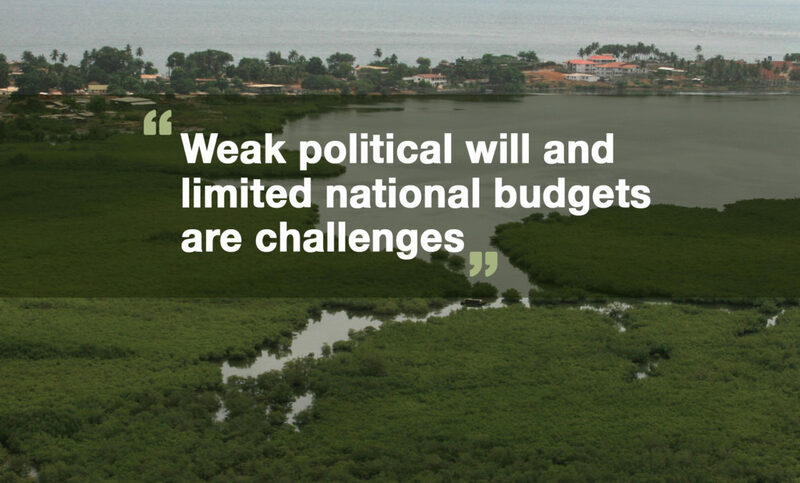 These areas are increasingly at risk from environmental hazards and climate change. 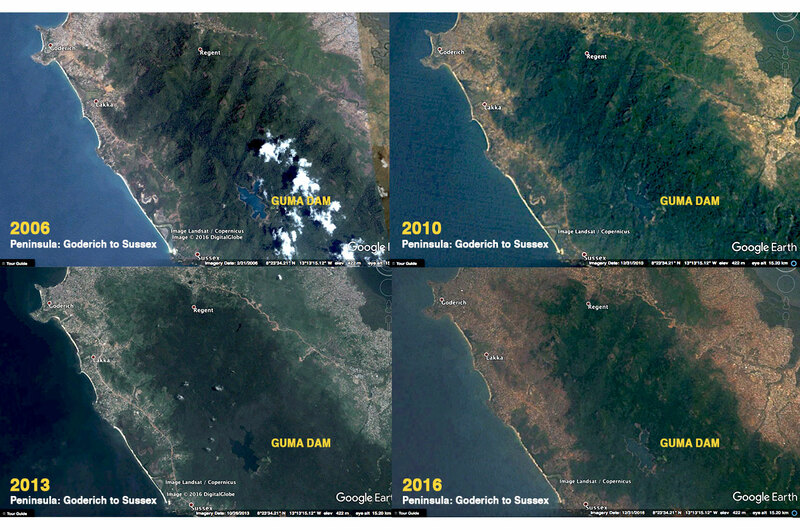 Satellite images from Google Earth showing the destruction of the mangroves at Aberdeen Creek in just five years. 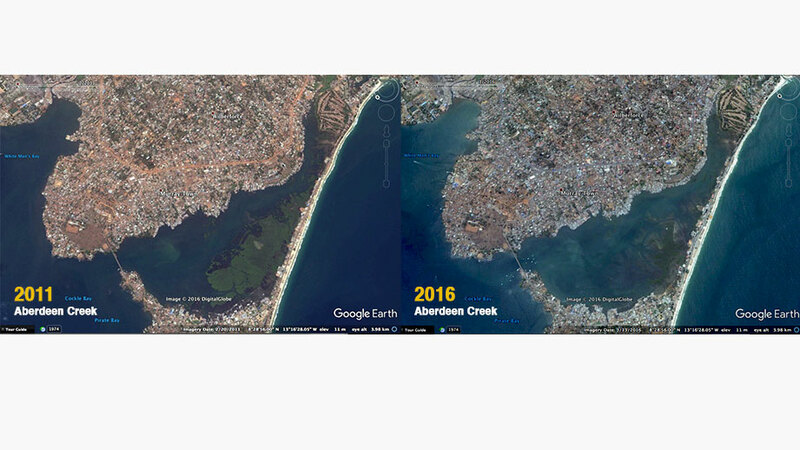 The images also show extensive land reclamation along the edges of the Creek including adjacent to Lumley Beach. 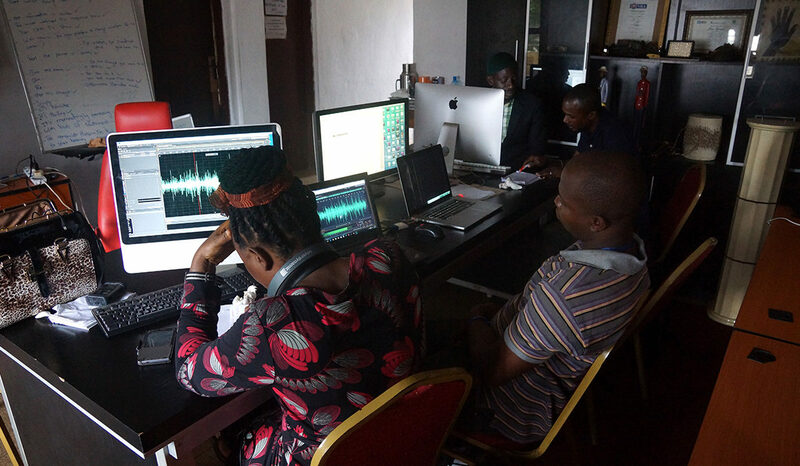 We’re experimenting with new ways of generating and sharing audio content through social media. 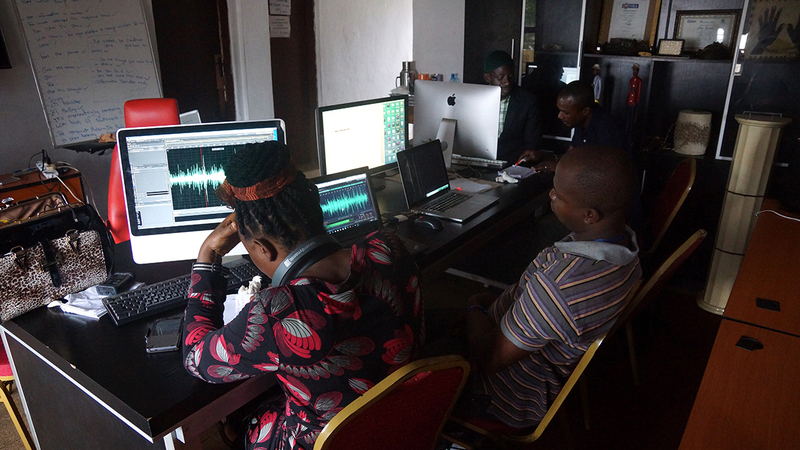 Please listen and share these two ‘Audiograms’ that were created from work produced during our recent Environmental Reporting Workshops in Freetown.